For those of you still using Facebook in the wake of the Cambridge Analytica scandal, it’s testing a new feature which allows users to start private conversations in the comments section of a Facebook Page. Users who are part of the test can leave comments on any post on a public Page that can only be seen by those who fall within their privacy settings. At the moment, Page owners can’t see the private comments, though Facebook will implement a tool which will allow them to later. Not only would this give users space to have their conversations without having to start a public discussion, it offers an easier way of engaging your friends with a post or link than currently exists. People have told us they prefer talking to their friends about public content as opposed to strangers. 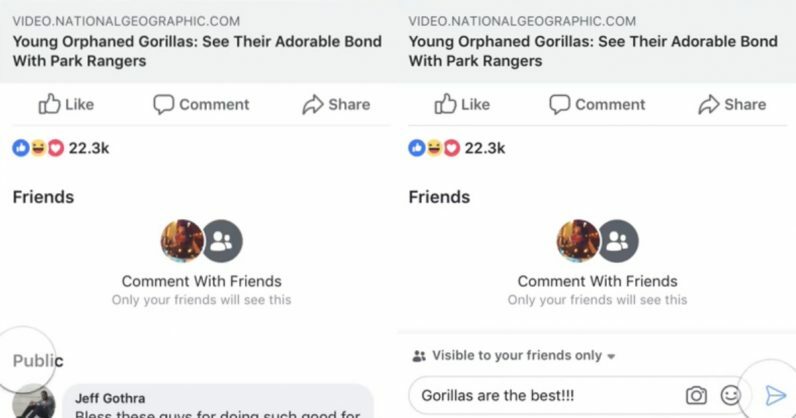 This new feature makes it easier for friends to connect, giving them a dedicated space to have conversations on public Page content. Facebook users currently have multiple options for starting conversations with their friends over links or posts. There’s always the option to share the post to a person, or to message it to them directly. But both of those options are relatively labor-intensive, at least compared with just leaving a comment. At the moment, the test is confined to a small number of users. If it does roll out globally though, it could help fulfill Mark Zuckerberg’s promise in January to bring people closer to their friends and family.